So it’s been a year since the mandate came into effect. A time to take stock. A time to reflect on the choice the country made. Or we could’ve chosen the party that has never had a clean run, and which projected a face that has had a clean run in a state. A guy who is popular in his state. And a party that keeps winning the states it runs. Leave aside all other concerns and think what choice would be better for the nation. I think we made the only rational choice. We said welcome to PM N D Modi. Soon, we experienced a cacophony: kahaan hain achchhe din? It was either people having exceptional expectations from a new govt or people who hate looking to justify their hatred. But the signs of change have been present since the start: signs both that lead me to hope and despair. The babu-dom has been utterly shaken in the last year. From biometric attendance, random inspections and regular performance reviews to freedom and encouragement for new ideas. Streamline, discipline, and get them to work. Answerable directly to a strict PM. All done without any public drama or childish acts like locking offices. There was no persecution of minorities. The “church attacks” were either mistakes, or had nothing to with them being Churches. There have been no Khoon Ki Nadiyan as predicted by riot fear-mongers. There was, however, a spotlight on everything Hindu, and an emboldening of the Hindutva fringe. There has been no support whatsoever from the govt for these people, and there is frequent, public renouncement of all ideologies except “Sabka Saath, Sabka Vikas”, but there is no real crackdown on the crazy ones either. Contrary to what was feared, Reliance has actually been fined heavily when found lacking and the informants of corporates, including Reliance presumably, who were found snooping have been investigated and prosecuted. That “snoopgate” was unearthed because of specific measures to check bureaucracy leaking info.It worked. Do I think snooping today is at level zero? Of course not. But is it much lower than earlier? Of course it is. In fact, contrary to Mr Jaitley, I don’t think political corruption has been eliminated, but it sure has shrunk a lot. Rafael jets were purchased for the same price for the Indian army as for the French army. The era of ever-increasing scams seems old news. There are reports in all sort of international publications that showcase this fact. And talking of international, there have been trips. This PM has spent more than a month and a half on foreign trips, often equated with tourism. Even forgetting the fact that the “crown prince” spent longer on his “introspection” in Thailand, what do we think these trips have been like? How many days has the PM kissed work because of these trips? As someone who knows people who have to travel a lot for work, I can attest that there is zero fun to be had on a business trip. 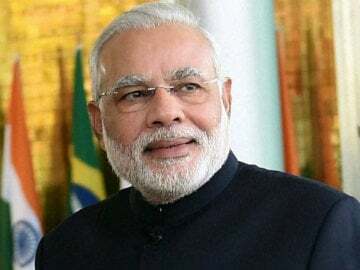 The prime minister of India doesn’t need to travel abroad to experience luxury. His travel is MORE work for him, not less. He meets really big, influential, tough people out there, and comes back with his reputation enhanced. Who thinks that happens without a whole lot of preparation? Despite being less than fluent at English and pretty rustic in his ways, he connects with the rich and the powerful of the world because they see a kindred spirit: a driven workaholic working for something more than his immediate needs. This is the man the world sees. A hard working guy working to improve his country. I don’t know what the critics think his motives are, but this much is true. He is a hard working man, working to leave his country better off. Not necessarily because he is a Messiah, or a selfless worker. Not just as a patriotic citizen, but as a leader with a large ego. Ego, a sense of self worth, a spirit to leave a mark, is a sine-qua-non of a leader. A guy who wants to be remembered. This guy wants that. Because of his ego. 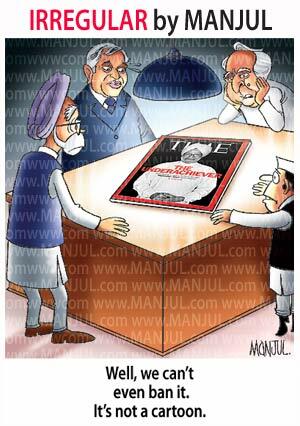 And here, unlike the late Mrs Gandhi, this works in our favor. Hopefully. Because there lies the problem too. The assessment of the whole government seems like a job review of a certain N D Modi. From his inspired ideas to his monogrammed suit, this is Modi Sarkar, a top heavy system. I believe the bottom up systems last longer, are less dependent on individual honesty/zeal, and just better. I don’t trust the babus to stay as disciplined once there is a change at top. I expect greed and malaise leading to corruption at high levels again, unless….. Unless the man at the top takes charge of building a second line. A credible second line with popular base that will one day replace him. Thankfully there is no genetic heir. And the more intangible part of a legacy would be the policies and institutions created. Jan Dhan is a great way to reach the pocket of the poorest and bypass the corrupt machinery. But Swachh Bharat needs more than just volunteerism. It needs a system. Clean Ganga is headed in the right direction because of commissioning of hundreds of waste water treatment plants on cities draining into Ganga. We need to make this universal. I could go on, but the issues are myriad, and so are the solutions. It’s the job of a leader to pick not only the right solution, but also the right issues to focus on. For the rest, you have a team. Expand it if you need, and use it, Mr Modi. This was a good start. Make it better, make it last. Otherwise your legacy won’t. Rahul Gandhi recently made a stupid statement. Another one. He said that we need to promote agriculture by higher food prices, and we need to go slow on business and industry. He made Suit-Boot a symbol of the wrong way to go for India. Agriculture sector is sick in India. Most people in the sector are agricultural workers who don’t own land. Those who do, usually own so little that they hardly have surplus. All countries should aim to aim to reduce these numbers as much as possible. The only way is creating industrial jobs. Can you trace the line of logic here? Push for manufacturing and large scale services is the way out of poverty for the poorest, the most vulnerable. Pushing for higher food prices to artificially support farmers helps the rich farmers at the cost of the rest of the country. Including the poor farmers who have to buy their food. Some people believe that Rahul Gandhi is a well intentioned idiot. I agree with the last word, but what well intentioned guy deliberately ignores the reality and wants the poor to remain poor and dependent? Socialism is the default of all economically illiterate people who want to seem well intentioned. Who doesn’t like the image of government helping the poor? But real help comes from jobs, not doles. Look at the sprawling slums of our metros. Think about the people there. They are real, rational people who have decided that living at the mercy of goons, policemen, and surrounded by squalor, disease and poverty is a better life than that in their villages. Think how bad their villages must be. M K Gandhi has created an illusion of ideal villages with happy pre-industrial people. The reality is that everyone in villages who can escape, does. And few ever go back. Promoting that lifestyle is as fool-hardy as promoting poverty. Let’s try and make a better, more technology friendly, more business friendly India. When Modi was contesting elections, those who liked him kept comparing him to Reagan and Thatcher. They are both thought of by Indians as leaders who brought their countries out of slowdown and onto the highway for growth. But many also remember them as leaders that invigorated the Religious factions and gave them power in Politics. This is a difficult coalition to maintain. The republicans have been struggling with it for decades, swinging from more libertarianism (capitalistic) to conservative (religious). That is what BJP has been dealing with since its inception and what the current government has to deal with at an even higher scale. What a libertarian like me wants is for this govt to be a plumber. Remove the clogs that have jammed the pipes of free markets and make it easier for people both Indians and foreigners to set up business. That’s what the whole Gujarat Model talk is about. Then there are the religiously inclined. BJP campaign was all about development. It was all about progress. But people already knew Modi. The same way that a lot of Muslims will never vote for Modi, a lot of Hindus will ALWAYS vote for him. He is a symbol of Hindutva, whether he likes it or not. And the Hindutva supporters are always going to keep demanding a Hindu Rashtra. If it is anti-Muslim, so much the better. This is also a faction that fears and detests the outsider. MNCs, goods from abroad, foreigners trading and investing in India are all source of unease and mistrust. These, unfortunately, are all essential for growth according to libertarians. So far, it’s hard to judge which way the balance will tilt. There is movement on de clogging, and there is a lot of talk of India as a cultural entity, which inevitably leads to that entity and identity being tied to what we now call a Hindu religion. That’s problematic for a country as diverse as ours. Tomorrow is another test as Modi makes a seminal speech. He will do well to remember where he is standing. Lal Qila was built by Shahjahan. It is a problematic symbol of an emperor’s ambition to leave a mark. His spending on monuments left the state weak, and led to rise of extremism in the next generation. Modi is ambitious. He wants to leave a mark in history. He wants to be remembered as a leader the way he remembers Patel. That is a good news. He is also very sharp. That is another good news, because he hopefully knows that it’s all about how well india does. So embrace Reagan & Thatcher, Mr Prime Minister, but remember that they are celebrated for growth and de clogging, not for religious extremism. And for all the talk about Patel being a Hindu Nationalist, he is loved for bringing India together. Remember to keep us together, and move us forward. We are headed to an interesting election. And the outcome is still up for grabs. Onlu one thing is certain: Congress will fare poorly. 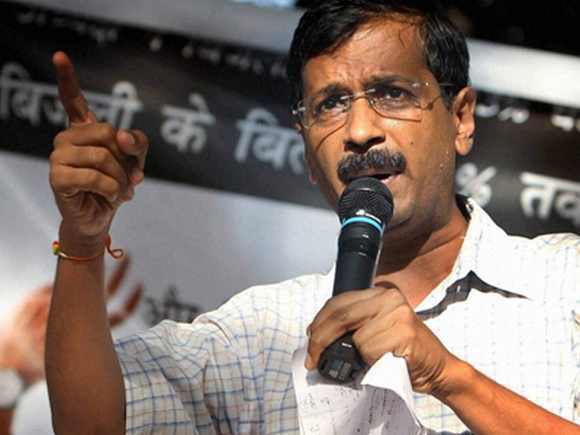 AAP will be a confounding factor. A lot of BJP supporters are worried about AAP. 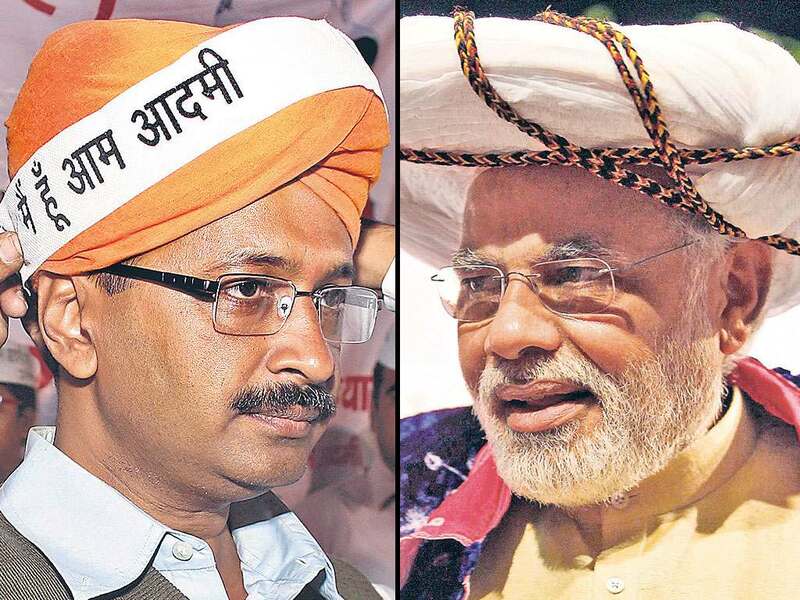 AAP is perceived as another upper middle class phenomenon, sweeping people who are dissatisfied with congress and would have been a ripe pick for the BJP. There has been a lot of hand wringing about AAP stealing votes away. How much do they really need to worry? Let’s look at what AAP believes in (beyond Lokpal & Swaraj, but those are not the topics today). It proclaims that it is pragmatist. Looking at solutions. But they ignore that fact that every problem has many solutions, and you need to choose the appropriate one based on your ideology. Some times it’s not even clear that a problem exists, forget what is the appropriate solution. eg the issue of inequality in the US. A debate is raging over whether it needs to be addressed at all. So saying you have no ideology is a copout. Paying lip service to capitalism in front of capitalists is a copout too. What is he going to say, please shut shop and let govt do it? Who will fill its coffers then? The best way to determine the ideology is to look at what they did in power, but that was too short to evaluate. So who are these people? There are several social activists. Which is a code for people who were political but against both congress and BJP. The people working for some specific cause dear to them, or some specific people: like Adivasis. All leftists. All believe in government intervention to solve problems. None view business as anything but evil. At best a necessary evil. You won’t ever catch them saying profit is a valid motive. All claim to work in grass roots but are actually wedded to top down intervention. Leftist, statist, elitist. Medha Patkar, Anjali Damania, Meera Sanyal, Soni Sori et al are names firmly to the left of Indian politics. So are names like the Bhushans and Yogendra Yadav. The only other people in AAP are people famous for being famous. Like the guy who does standup + poetry in college festivals and the guy who threw a shoe at Chidambaram. If you have no ideological leanings, where are the people on the right? Are they not joining the party or being shunned by the party? Aam Aadmi Party is the communist party for non-keralite non-bengali people. In India even the communists are pro investment these days. These guys are the same. In other words, if the people look really hard at the party and the platform, no BJP supporter will defect to this party. But that is a big “if”. Wishful thinking and blindness are all around us. Those are the curtains BJP should work to lift. 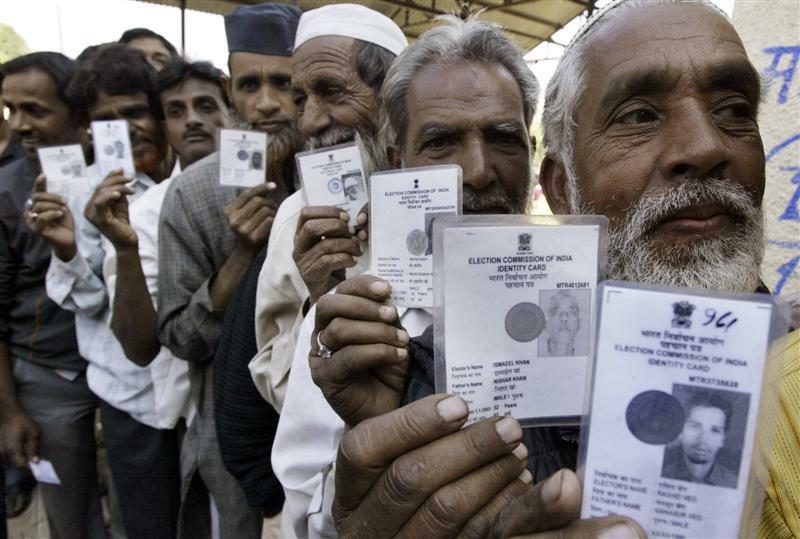 Also, AAP may bring a lot of people to polls who were not voting earlier. If Modi can mobilize the base enough that he brings a lot of new voters, BJP can neutralize this. Can BJP pull this off? Who knows? All I can say is that this is the most interesting election in my memory. 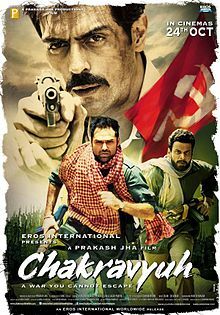 Chakravyuh is the latest localized adaptation of a Hollywood film by Prakash Jha. (see Avatar/Pocahontas, even Namak Haram for earlier versions of the same theme). At a time when our national morale is low again after the highs of India Shining, this is supposed to be a reminder to urban India that the poor are suffering. India is riddled with problems. 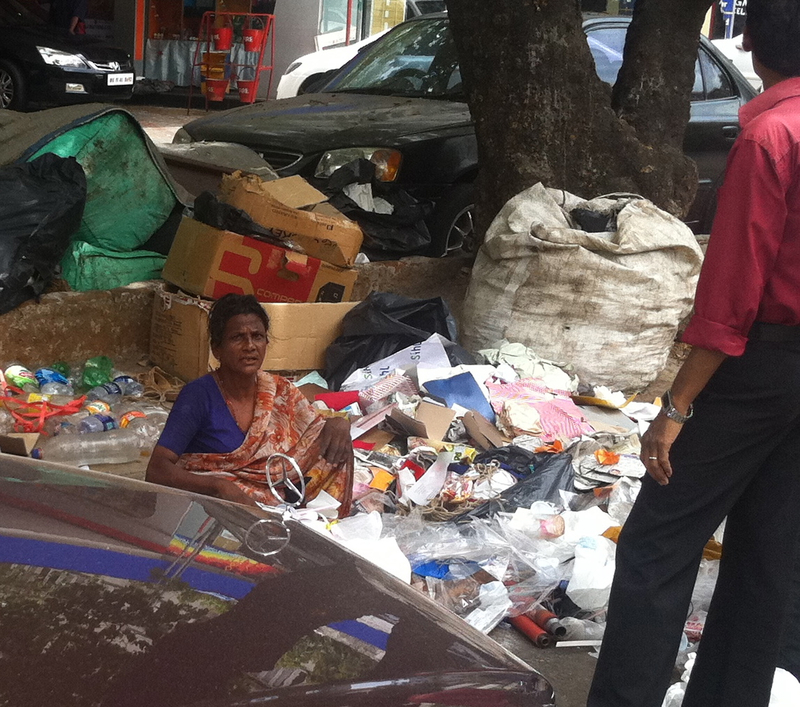 Poverty is rampant, the powerful are corrupt and the enforcers are either impotent or unwilling to enforce change. Surprised? I thought not. One doesn’t have to live in a village to know that there are huge problems in our country. Hell, there are Babas and activists on fasts all over the country and media reminding us that the ruling class is robbing us blind. We also know that when oppressed, people are prime to be taken advantage of, as the Naxals have been doing to the poor villagers and forest dwellers trapped between two forces. Because Naxalism is not the answer. Nor is agitation/fasting. The answer is for the so called elites who rink they know better to go to the people who are being oppressed and teach them to vote right. in a democracy, the value of you as a citizen is determined by the number of votes you influence. If you don’t even vote, or vote for the person most people in your community vote for, you have zero influence. If you convince a few to vote according to their interests, you have a certain influence. By the way, Facebook doesn’t count, and blogs count even less. The bulk of voters are poor, and they need to understand what their votes bring them. That’s why Kejriwal is right, we need to use democracy to bring about change, and that’s harder than either agitation or violence. We also need to curtail the power the government wields and make it more transparent. We need to allow local governments to have a say in what happens there, but also need to incentivize them to industrialize. We need fair, market based compensation for the displaced, and we need companies to fight for the lands. Only when there is true participation, fewer discretionary powers and more transparency will we progress. We also need a social safety net that support those who can’t earn enough for their needs, and helps them not just by handouts but by making them fit into the marketplace. For all this to happen, the first step is to actively campaign for the candidates/party you care for. How many are willing to put their money where their mouth is and go sweat it out on street? I can only answer for myself: Not me. And that, friends, is the real problem with India. Any solutions for that? The spectacle of the breast-beating over the underachiever article is so predictable, I’m angry at myself for getting riled up. But it’s so relevant right now to the direction of our country that it seemed a personal affront. India’s balance of payments hangs by a thread. The theoretical 300 billion dollar reserves of RBI are not available to ensure that we will be able to pay the rising foreign currency bills. The Rupee is in a slide. Admittedly this is not entirely our fault. Its also due to Europeans taking their own economy to the brink of disaster, leading to a rising dollar. The particular problem with India, however is that we don’t run an export surplus as most of our fellow emerging economies do. If we did, we would see our exports looking attractive to others, and lead to a growth in manufacturing. China has been keeping its currency low for several years to boost industry. We, however, still import more than we export. Singur nano plant controversy showed us all that investment in manufacturing is not very welcome, even from a brand as respectable as the Tatas. There is a huge maoist Red Belt across the belly of Mother India that would make anyone reluctant to invest there. Reform of Labour laws, infrastructure, power, all these things are not yet in place to attract investment in manufacturing. That leaves services. Most of us think services, and think IT and outsourcing. That’s one part, but not even close to the whole story. One major way to improve things for farmers, producers & consumers, generate large scale employment, and get investment in infrastructure and logistics is via large scale retail. That’s a great place to attract investments to. Oh wait. See? The few places where people want to put in money, we don’t want them to. So a huge hunk of overseas money in India is short term investments. What we call FIIs, the foreign institutional investors. Now the thing is, they calculate their return on investment in dollars, so every slight fall in rupee means that their returns fall by that much. In the last 3 months, rupee has fallen by 16%. So their returns ought to be be really great for them to even break even. And now we understand why they are taking money out of India. It gets better. When they take money out, the rupee falls further, as they sell their rupees to buy dollars. Yes, that prompts even more people to take their money out!! Now we get to a slow downward spiral that leads to falling currency and fleeing dollars. That’s exactly where we are. Which brings us to the politics. The duo of Manmohan & Montek, who are supposedly in charge of the economy, understand all this way too well. They could probably have predicted this path several months ago. Why are we in this position now? The obvious answer is their impotence to act. The deeper answer in my view is the inability of any political party to bring change. That’s because of several reasons, but the most important in my view is the disinterest of our electorate in engaging with the issues. Even the recent Anna-inspired mobilization was focused on punishment as deterrent. The answer to corruption of the powerful is not to punish them, satisfying as that may be, it’s to reduce their power. No one is talking about a smaller government, we are all for increasing the power of Babus, by a different name of Lokpal. This means that BJP/local parties are happy to oppose any progress just for the sake of opposing, and Congress will do the same when in opposition. And every election confirms the sad truth that corruption is no bar to winning, provided money/caste/power equations are in your favor. All this has led to a tirade of articles in thoughtful magazines about the decline in India. There have even been suggestions to place Indonesia as the ‘I’ in BRIC. But we woke when Time magazine put our MMS on the cover and put a one word description of his lack of achievements. Subtlety gayi tel lene. The wrath of congress loyalists over one article is infuriating, but sadly predictable. 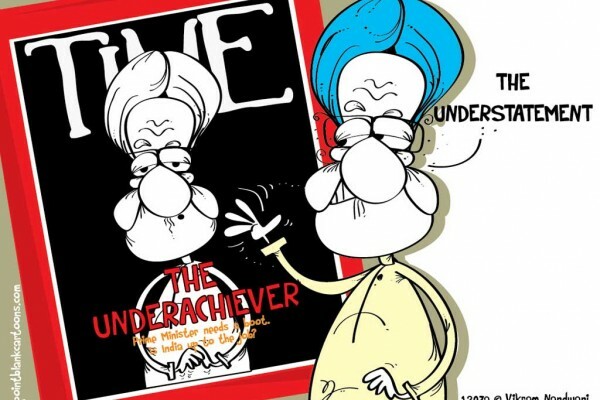 Even more infantile was Outlook magazine taking out a cover of Obama with underachiever written next to it. Really? This is the level our public discourse has descended to? That makes me sad. And angry.